Thursday of the build week was still full of energy and life. New and returning volunteers continue to come out by the hundreds. 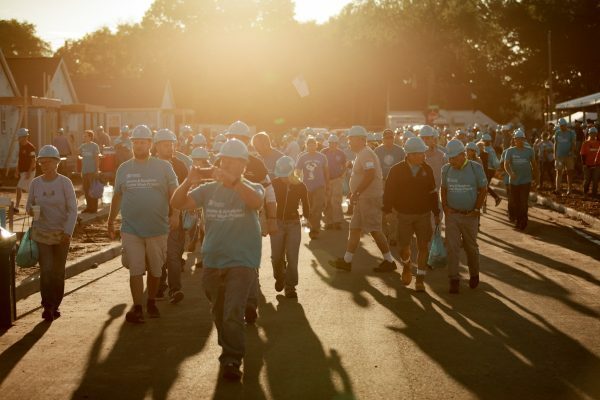 Volunteers were welcomed to the site by speakers Jeff Noel from Whirlpool and Toby Thomas from AEP and morning devotions led by future homeowner Ambera Pruitt. Day Four of construction focused on details. 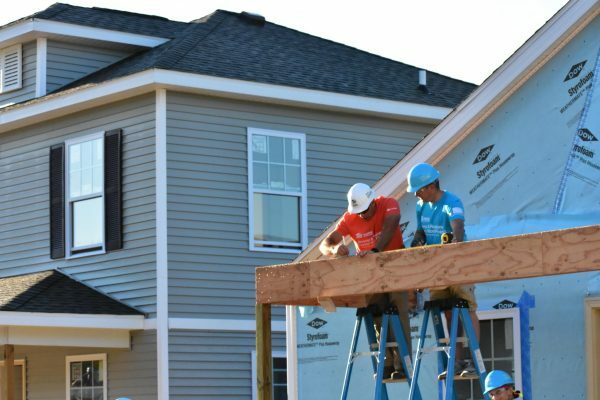 Hurricane clips were installed to new roofs, siding was near completion, and porches were being built. Two-story homes were finished with the interior trim and all siding was completed. 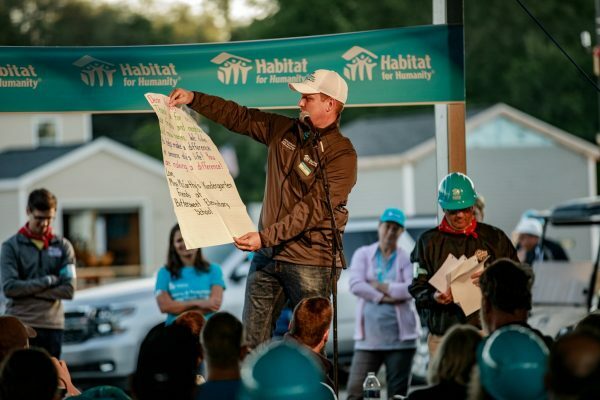 Thursday was all about the Habitat Families! 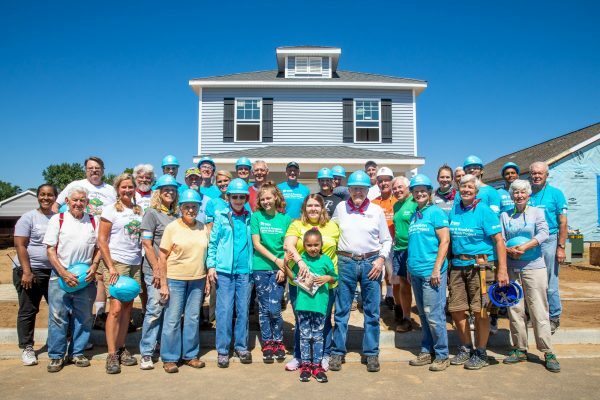 A special tradition during every Carter Work Project, is that Jimmy & Rosalynn Carter as well as Garth Brooks and Trisha Yearwood take a photo with every volunteer group and present each future homeowner a bible. 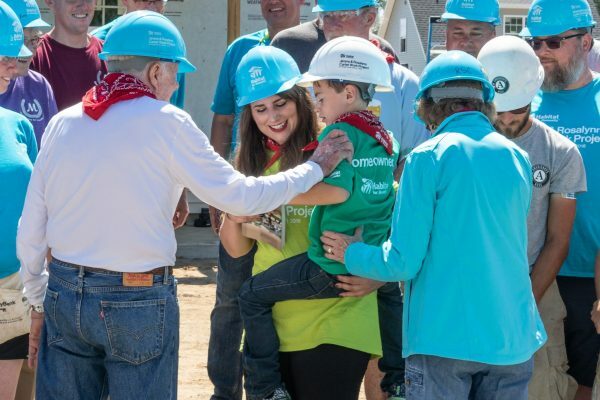 The pictures became even more special as future homeowners were able to bring their children to the site to meet President and Mrs. Carter. 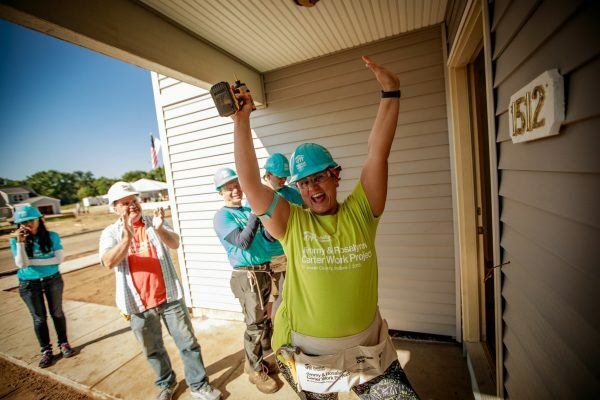 Future homeowner Loretta had not yet told her daughters that they would soon be purchasing a home that she helped to build in partnership with Habitat. 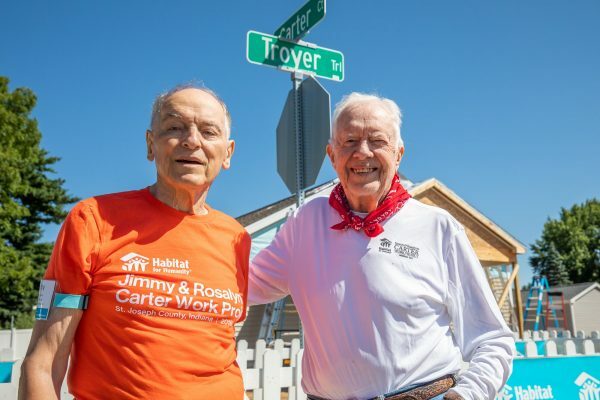 She surprised them by bringing them to the site, where they met President Carter and he revealed the news that they were standing in front of their brand-new home.